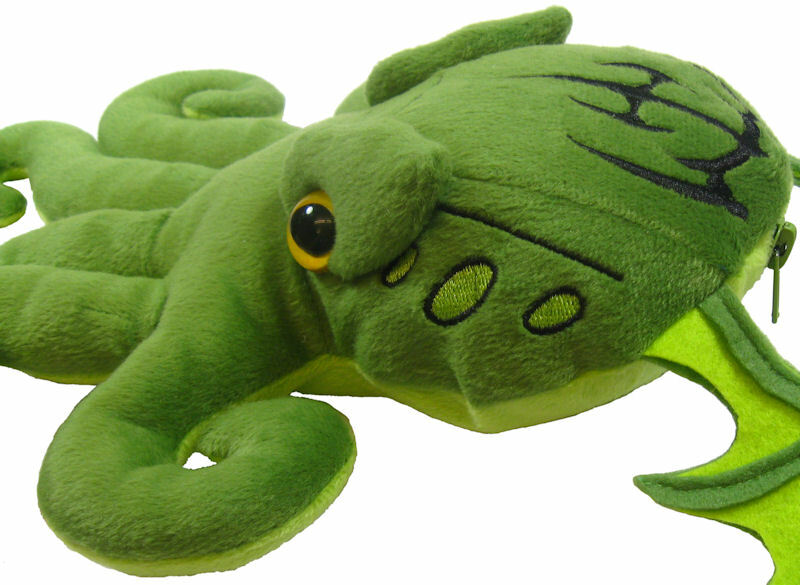 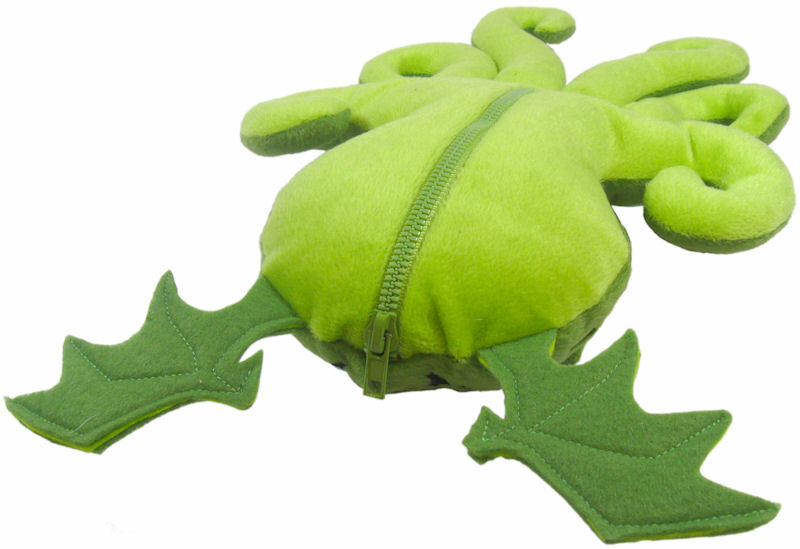 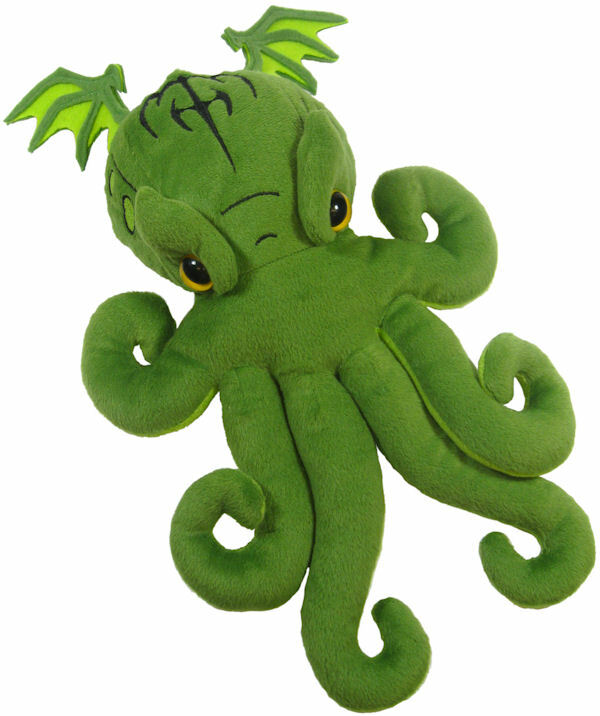 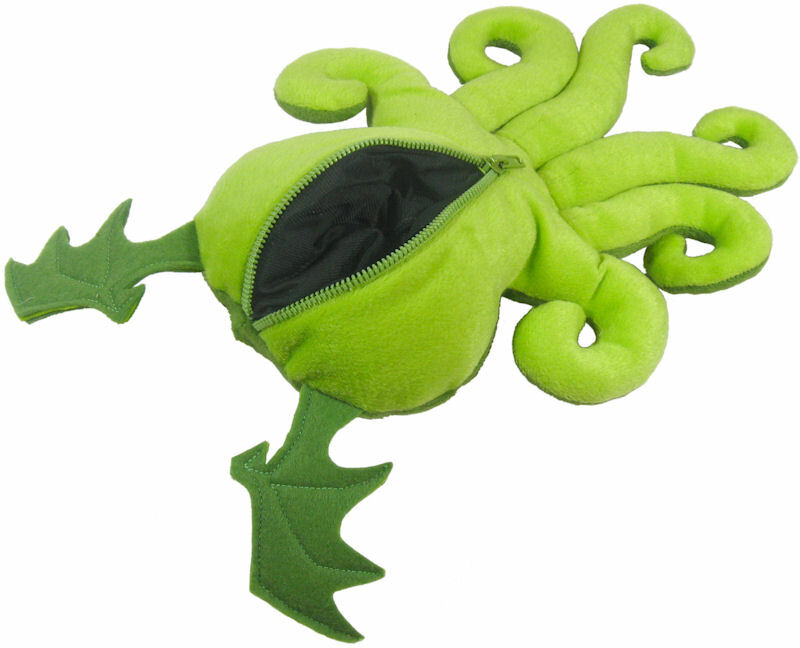 Green Cthulhu-shaped plush dice bag, 15" long from wingtip to tentacle-tip, and 9" wide from tentacle to tentacle. 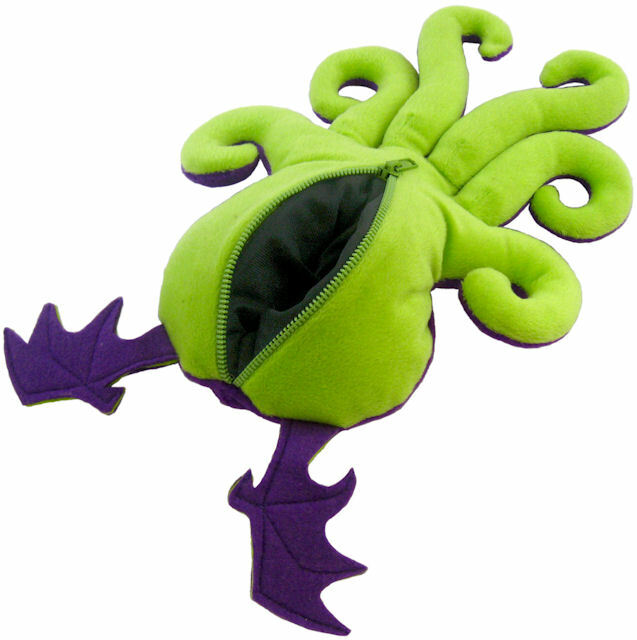 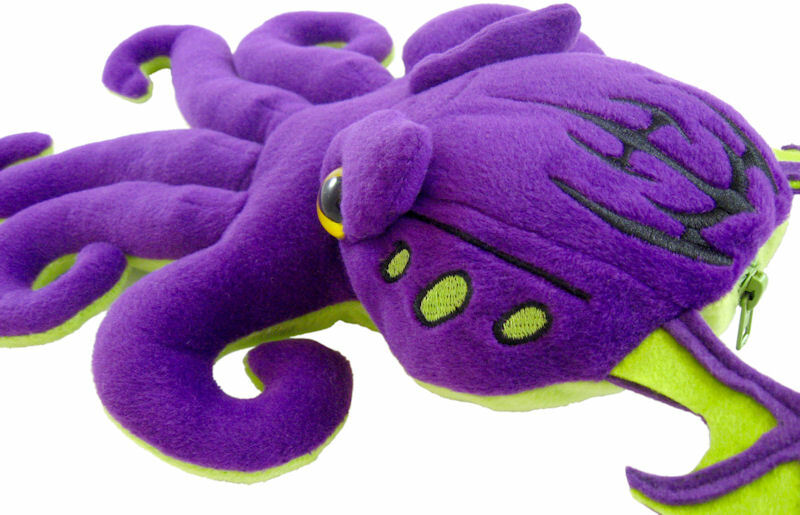 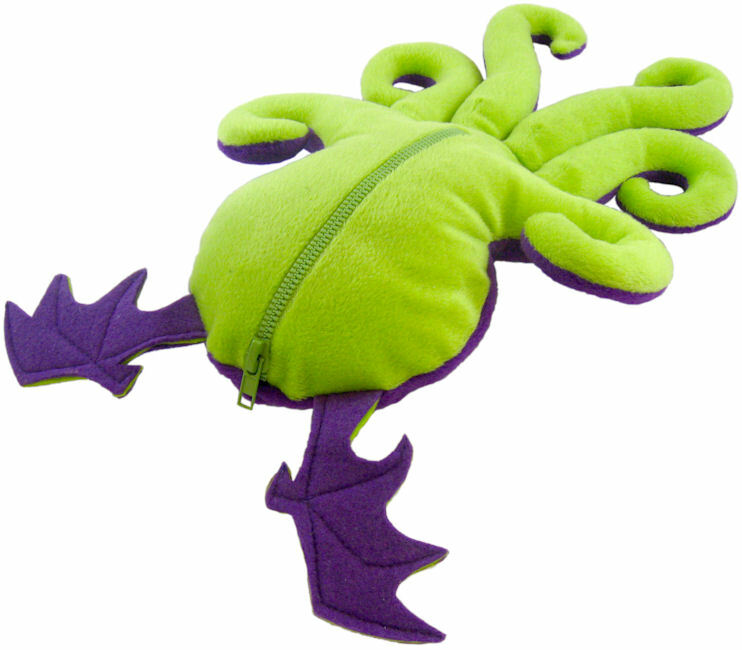 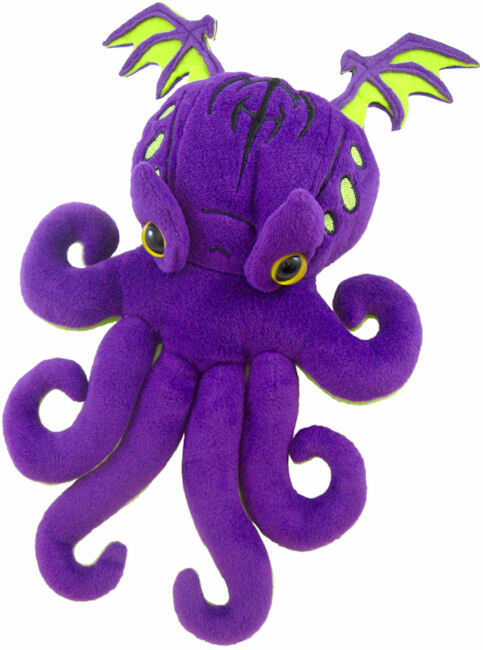 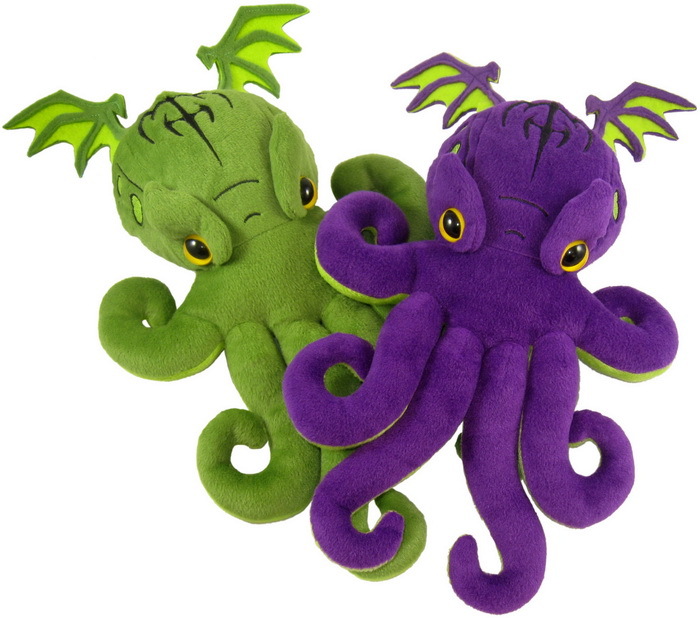 Purple Cthulhu-shaped plush dice bag, 15" long from wingtip to tentacle-tip, and 9" wide from tentacle to tentacle. 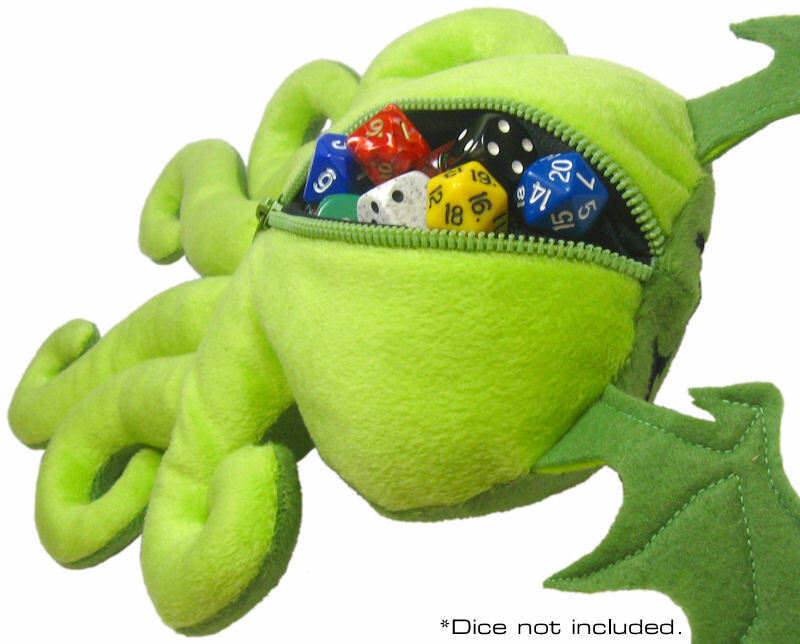 Using the Cthulhu Dice Bag in summoning rituals is not recommended, but mostly because summoning Cthulhu is really a bad idea. 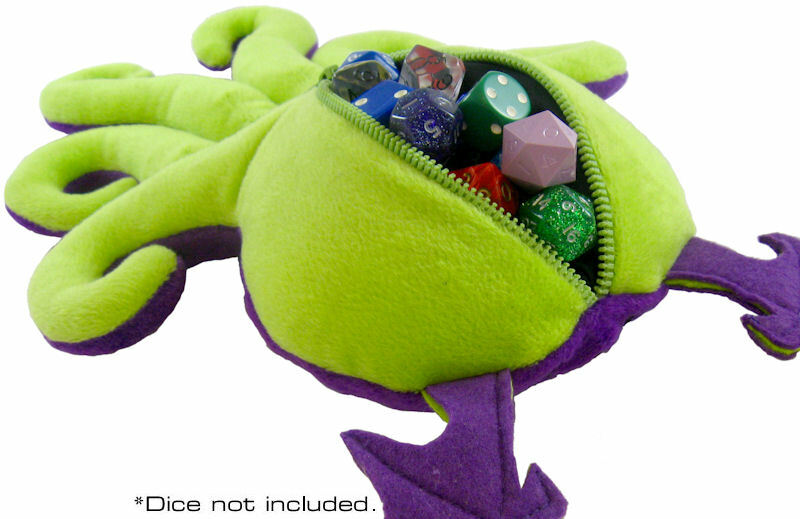 Just let him hold your dice.